Social media can be a double-edged sword. Used wisely, it can be used as a way of impressing prospective employers. Conversely, there can be times when information on Social Media sites can count against you. At the time of writing, there are at least three major Social Media Networks that have emerged as the most popular in the world. 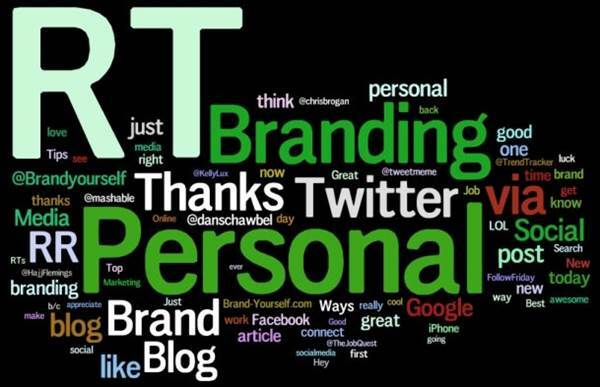 Here is a look at them and why a job seeker should join them to create a strong personal brand. Facebook is a social media website that has become hugely popular because of the many ways there are of interacting with friends. These can include using the many applications that are available to using their chat service. What can really help or harm your brand is how much you reveal about yourself on your profile page. The default privacy settings on Facebook mean that anyone can find you just by doing a simple search. If you’re looking for graduate jobs, then a potential employer may do a quick search on you. The ‘Interests’ section on Facebook can be particularly revealing. A prospective employer may come to the conclusion that you will not fit in with the rest of the staff if your interests indicate that your political views differ from theirs. Your interests can have a more positive impact on a possible future employer, but they will rarely be enough to secure a job. The harsh truth is that a negative first impression can easily ruin your chances there and then. Revealing as little as possible will not necessarily be beneficial either. A prospective employer may find more information on other profiles and decide to whittle down candidates from those profiles. If you are using Facebook to constantly further your career, but also want to use it to communicate with friends, then you’ll need to find a balance whereby neither friends nor potential employers feel alienated. On Twitter, you can protect your Tweets when you sign up, which means that only followers will be able to view your information. It is easy to follow someone on Twitter though and whereas Facebook users are more likely to use their real name, Twitter users are less likely to do so. This is due to the fact that you can follow people who aren’t friends. If you choose to protect your Tweets after you have already tweeted, then some of your information will still be available for the general public to see. Old Tweets can be found just by using Google. LinkedIn is a social media site that is probably the most important of all social media sites to use for finding graduate jobs or jobs generally. This is the social media site of choice for employers and those looking for work. On LinkedIn, you can turn your activity broadcasts on or off. Plus, you can select who can see your activity feed and who can see your connections. LinkedIn should be used for more serious social media purposes by building up contacts in your area of expertise. Having the right contacts can really impress a potential employer. You should protect your personal brand and bear in mind, when looking for graduate jobs, that potential employers will Google you. Use all your social media accounts to make the best impression, but in a way where your own integrity is not undermined.